This photograph has been scaled down; full resolution photograph is available here (4,000 by 3,073 pixels). Two camouflage schemes represented. OD planes do not have tail flash? These were very early P-51s. 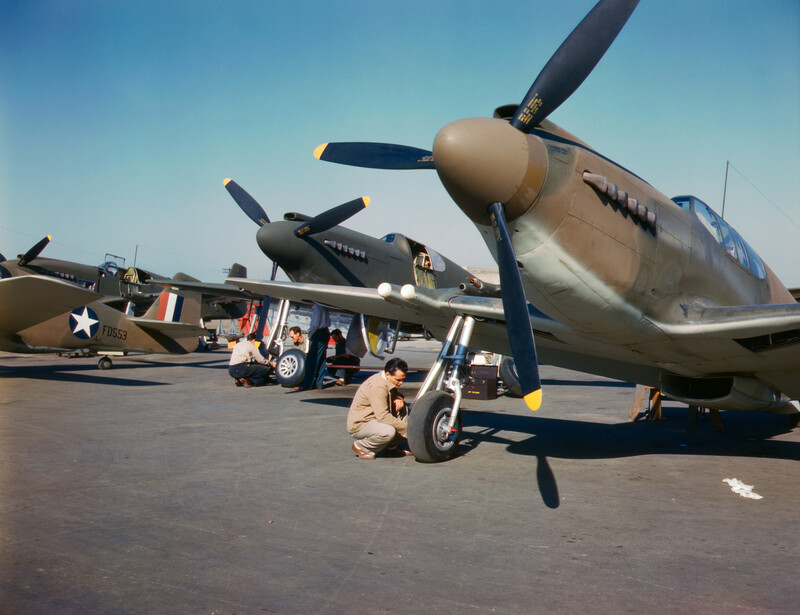 From this batch of 150 airplanes, 93 were destined for the RAF under lend-lease as Mustang IA with 57 remaining with the USAAF. The RAF planes were painted in the British desert scheme that included the tail flash. The US national insignia would be repainted as RAF roundels upon delivery.